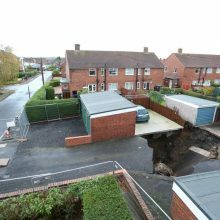 A mine shaft that caused a ground collapse near homes and garages in Gosforth has been made safe for residents by the Coal Authority’s public safety team. 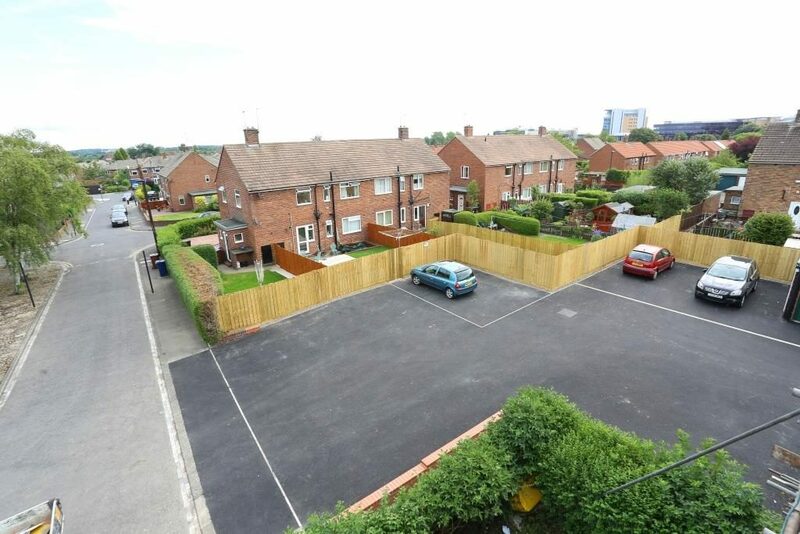 The team designed a permanent solution which required over 65 cubic metres of reinforced concrete to repair an area in Craster Square which collapsed at the end of last year. The mine shaft, known as Coxlodge Colliery Jubilee Shaft, was operational during the 1820s and is nearly 200 years old. The mine was recorded as being closed in 1891, but the Coal Authority’s investigations showed that the shaft was left open after this time to help ventilate other mine workings in the area. 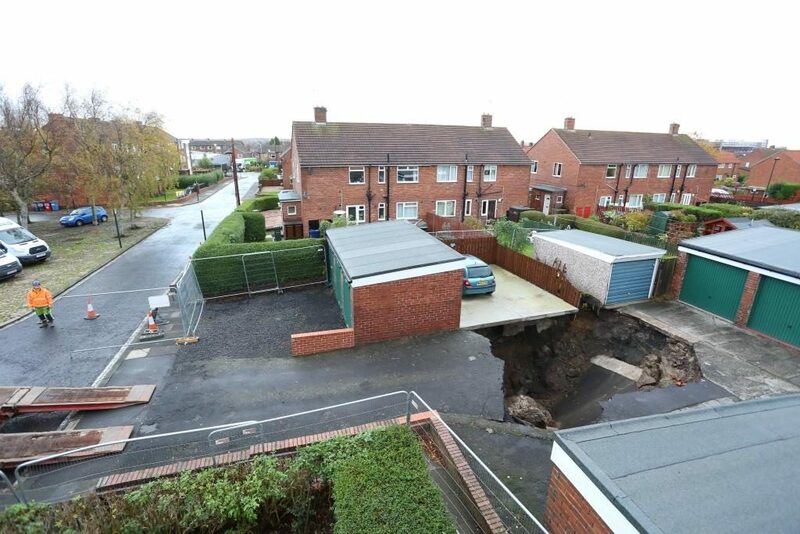 Tim Marples, Head of Public Safety and Subsidence at the Coal Authority, said: “When the ground collapse occurred we immediately fenced off the area and filled the void to make it safe. “We then carried out ground investigations which included drilling boreholes to investigate the mine shaft’s structure and fill materials, as well as the conditions underground. 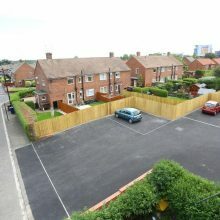 “The results of these investigations gave our engineers the information they needed to design a permanent solution for the site. 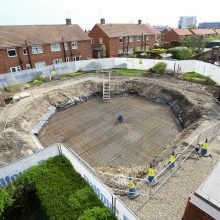 “We’ve completed the construction of a hexagonal, steel reinforced concrete slab to cover the mine shaft, which now sits two metres below the ground. 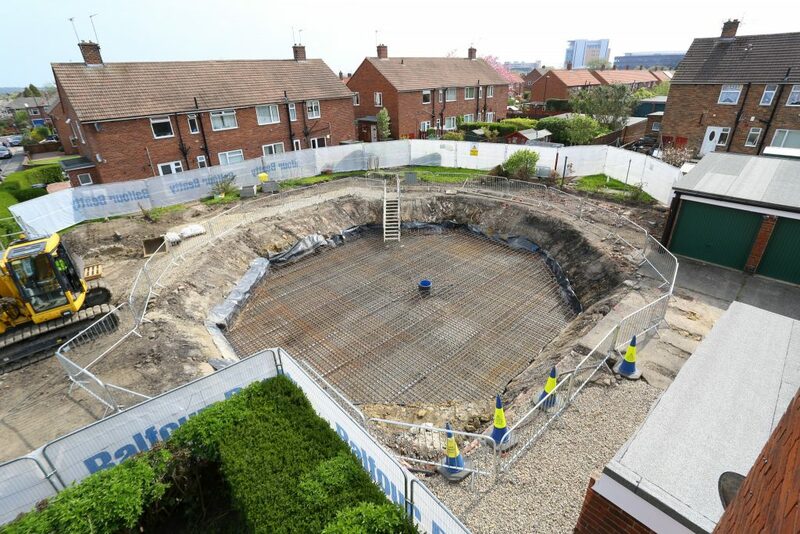 “Underneath it we’ve injected 35 cubic metres of resin grout into the shaft to ensure the area is completely stabilised.